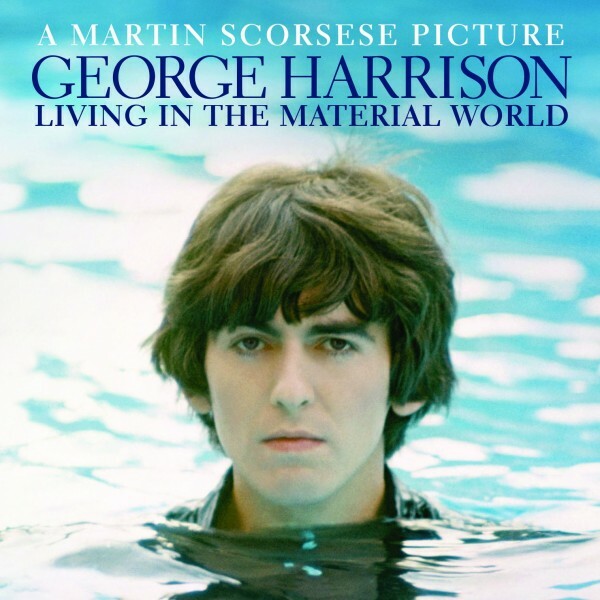 The awesome photo used for the cover of Matin Scorsese’s George Harrison documentary “Living In The Material World” shows a fully clothed Harrison with just his head sticking out of a pool. What makes the photo look so cool is that his body is completely wet but his hair is dry. 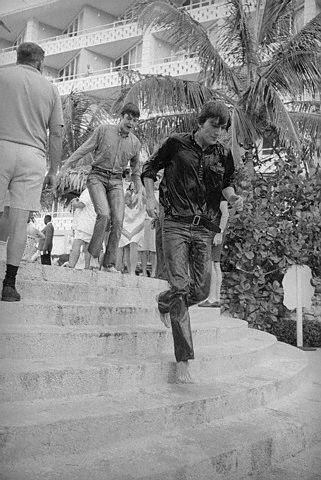 After a bit of research I found out the photo was taken on February 23, 1965 at the Nassau Beach Hotel during the filming of The Beatles movie Help!. 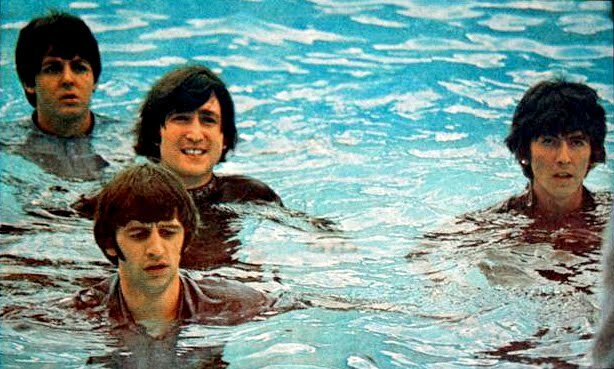 Here’s a photo that shows all The Beatles in the pool with their hair dry. 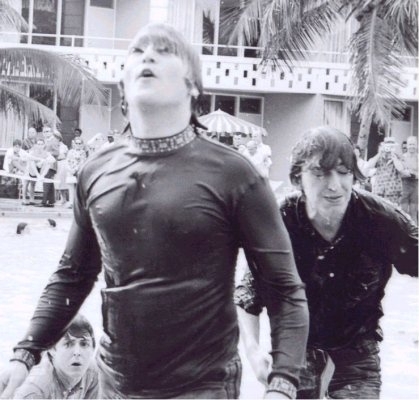 The Boys are not looking too happy being dunked in the pool fully clothed. 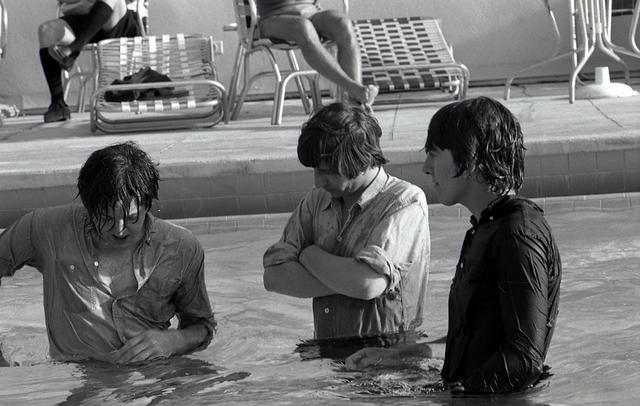 And I bet that leather belt George had on shrunk while he was dipping in that pool…. 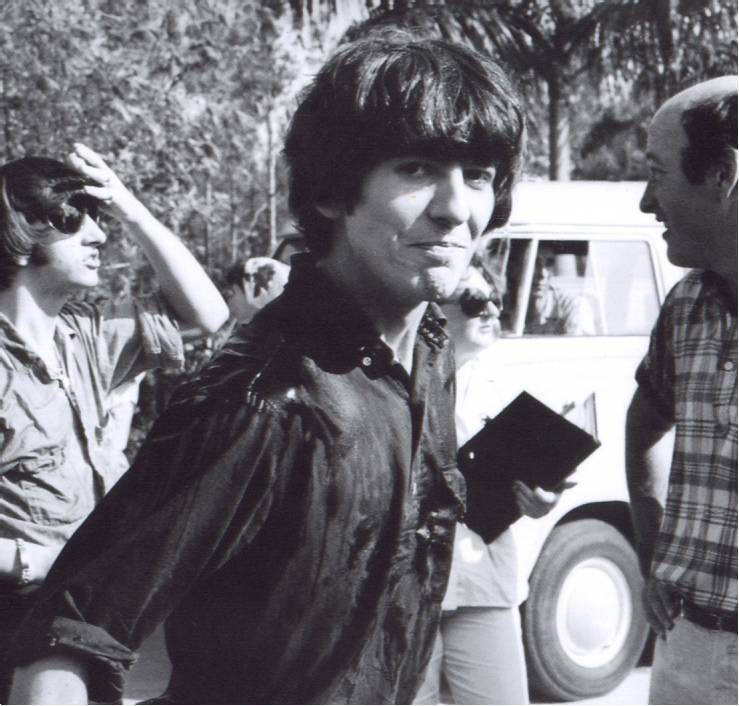 I don't blame them for the lack of smile, except for George's smiling at the camera on the 4th photo. He must be happy to be out of the pool!